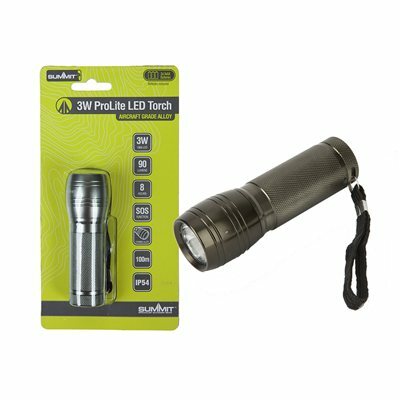 3 Watt prolite LED torch with an aircraft grade alloy casing. A compact design that features a 90 lumen output, 100m beam range, SOS function and a 8 hour battery life. This torch is ideal for camping and travelling.